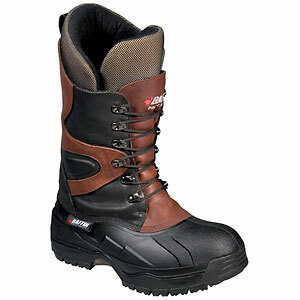 These boots are warm, waterproof, and comfortable. These boots are warm, waterproof, and comfortable. There's little to no breaking-in required, and they feel very light on your feet. Between the laces and Achilles strap you can get a surprising amount of ankle support for this type of boot. Lacing system could be better. I love these boots! I started wearing them back in 2005 when I took a job as a skilift mechanic. They kept my feet warm, dry, and comfortable during my long hours of walking, snowmobiling, and snowshoeing around the mountain, and after spending the night on my Peet Shoe Dryer (a must-have!) they were always nice and dry the next morning. I bought a new pair last winter, but still have the old pair. There's a hole worn in the insulation of one heel but they're plenty good for use around the home or at my job as a mechanic at an airport. I've worn them in wind chills of -40° while out getting diesels running or replacing starters and batteries, and even with the missing insulation my feet never got cold. They're not too warm when the temps rise enough to turn the snow on the mountain into mashed potatoes or when you're sitting in a plow truck for 12-16 hours at a time, either. They tend to run a little bit large in both length and width, most likely to allow for the wearing of extremely thick winter socks. I went 1/2 size larger than normal, but since then I've learned about fallen arches and footbeds, and think I could get the perfect fit in my normal size (11) using a high arch support footbed. I have wide forefeet so I don't mind the extra room in the toes, the heel cup is a little wide but I've never gotten blisters from heel lift and the Achilles strap does a fairly good job of keeping the heel in place. There is a little bit of a pressure point at the spot where the foot flexes at the ankle, I wish they'd cut a notch here to give the leather somewhere to go other than right into the top of my foot. It's not painful, though, and I wouldn't even really call it discomfort, it's just something that should have been thought of. 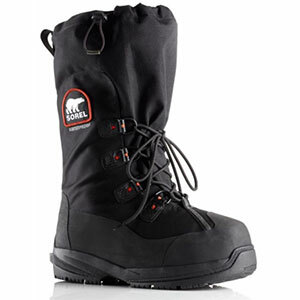 These aren't like the old-style Sorels with removable booties, meant to keep your feet warm while standing still - these are multi-sport boots and people wear them snowshoeing, hiking, etc. They need to accommodate foot movements better. Placing a speed lace hook here, but moved maybe an inch down toward the ankle, would have taken care of the pressure point and also allowed the heel cup to be pulled nice and tight for better support. And speaking of laces, this system is certainly adequate but could be better. The main problem is that the barrel-style eyelets on the top 3 lace points simply don't allow the laces to pull through when you tug on them. The D-rings at the bottom 5 lace points are fine, due to the heavy construction of the boot they tend to want to loosen up on you while tightening them but as the leather softens this is less of a problem. When I bought my new pair I took them to a cobbler and had the barrel eyelets replaced with actual speed-lace hooks. Now I can get the forefoot laces just where I want them in the D-rings, tie a half knot to lock my ankle in place, then hook the laces the rest of the way without the laces loosening up in the D-rings. And you might as well put a better set of laces on right from the beginning, because the ones they come with don't last very long. I use parachute cord for my laces. It lasts forever and even though it does stretch a bit when it gets wet I've never had a problem with the boots loosening up enough to be a problem. I wouldn't use it on mountaineering boots, of course. 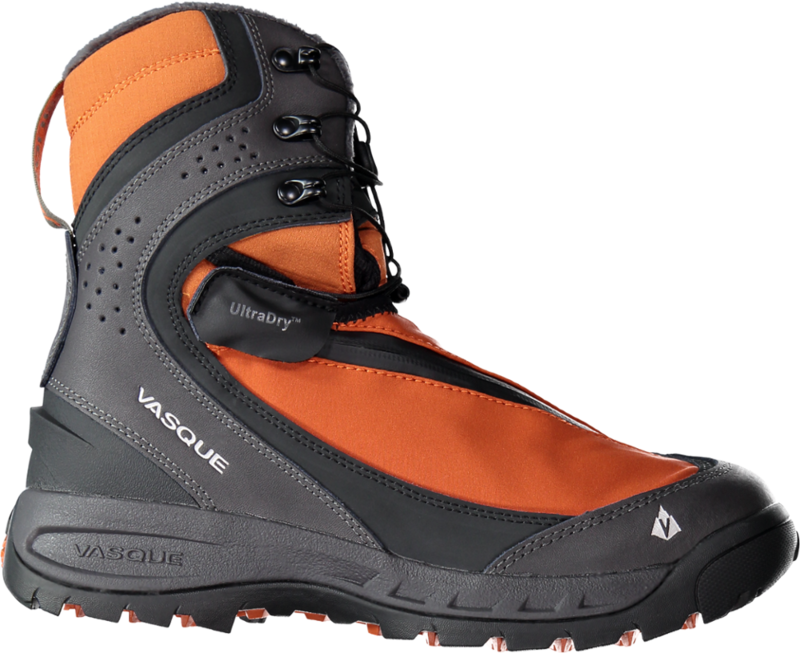 I really like these boots for snowshoeing. They're beefy enough to fill bindings so your feet don't get pinched and they have a shelf on the heel to keep your snowshoes' heel straps from sliding off. The lacing hardware sits flat enough that the bindings don't press them into your feet, too. The sole and midsole are thick and stiff enough that you don't feel every little lump after a few miles, yet they allow your foot to flex for comfort. The gaiter D-ring is nice, and you will want to use gaiters because the so-called "gaiter" at the top of the boot isn't good for much more than keeping snow out while you're out shoveling or walking the dog. 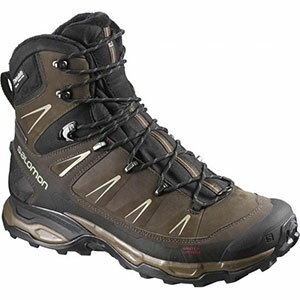 All in all, I think these boots are the best all-purpose boots available, good for both active sports and sedentary activities like ice fishing or stand/blind hunting. They've taken everything I've thrown at them with no problem at all. I recommend them to anyone looking for a good winter boot. 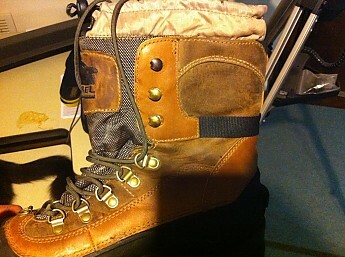 Welcome to Trailspace, Phil, and thanks for sharing your first gear review with us. I'd love to see some pictures of your boots in action, if you're willing to share them. Thanks for the nice write-up, Phil. We are glad to have you here at Trailspace! I don't have any good pics, I'm usually the picture taker. My friends all seem to think a proper picture is taken from as far away as possible! Thanks, Phil. 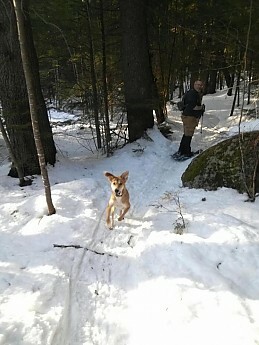 Your dog looks pretty happy to be on that hike. Cute! I put these boots to the test. I spent 3 nights and 4 days climbing Mt Whitney in the middle of February in these boots. They surpassed my expectations. I put on a pair of Black Diamond 10 Point Neve crampons on and they worked great with this boot. Camp 12 point will also work. Snow shoes were no problem. The boots were comfortable the whole trip and I did not get any blisters. Used one pair of Smartwool med. socks. Without gaitors the boots breathed well. When I used OR gaitors I sweated through the boots on the hikes and 15 degree weather never allowed the boots to dry out but my feet were never cold. Crossed streams with snow shoes on and they never leaked. Climbing out of a sleeping bag in the morning to put on frozen boots is no fun but amazingly my feet warmed the boots and the toes were toasty. Others had mountaineering boots and I did not but these boots rocked the whole trip. It took 3 days for them to dry out when I got home but my feet never knew they were damp from sweat on the mountain. I will use these again on my next trip climbing San Jacinto and Mt Baldy. If you can't afford $300 mountaineering boots these will get the job done without disappointment. Great boot, well worth every dollar. Not real rubber, they use a thermoplastic material, which is not suitable to be stitched through. 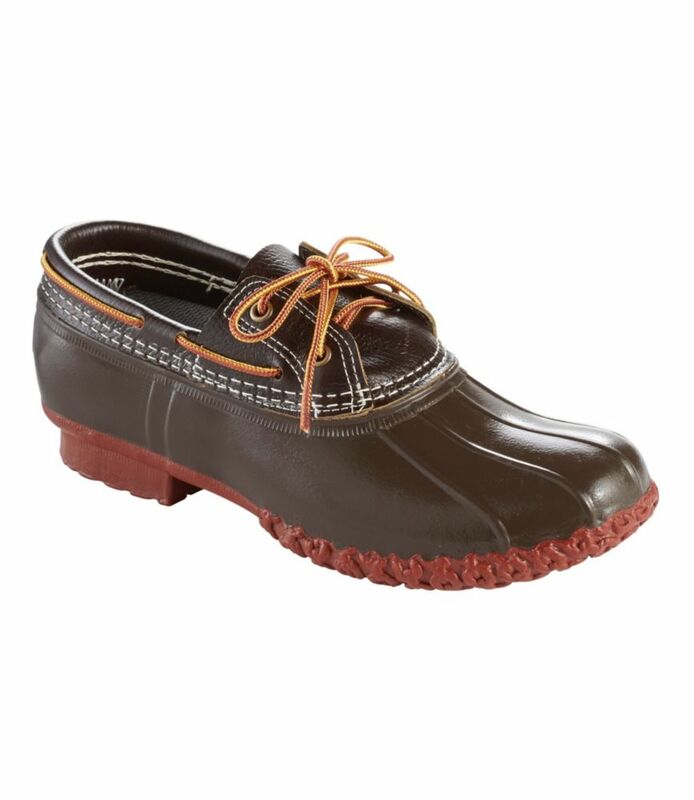 Witness the countless people experiencing catastrophic failure of a seam where leather upper meets bottom. This cannot even be cobbled for repair! Sorel used to make quality products. 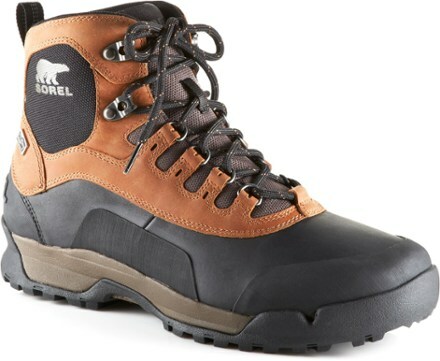 Buyer beware, these look like excellent, durable boots...they simply are not and the SOREL warranty is pitiful. After Sorel refused to send me a new pair, when I notified them the boot seam had separated, I tried to get these boots fixed by a cobbler. Two refused to do repair, stating it would not hold. The third guy I tried actually made a huge patch over the separation, and glued and stitched. This lasted for a while, but then the entire seam on BOTH boots separated. Boots are in trash...and they are hardly even worn!! As noted above, buyer beware. Welcome to Trailspace. Too bad about your Sorels failing. If you have any pictures showing how they failed, those would be helpful for others to see in your review too. Better boots for the price out there. Hard rubber rand cracked in several areas on the right boot and seams came apart where leather meets rand. These boots are overpriced for the quality of construction materials etc. Welcome to Trailspace, Jeff. Too bad about your Sorels. How long have you had yours? Loved these boots the second I saw them. Bought a pair of the tan ones, lasted one winter. By the end, the seam popped on the inside left boot where the leather meets rubber. Then the same seam popped at the heel on the right, my fault, didn't loosen enough. The liner kept my feet dry, but the insulation got wet, which made it colder. Bought a second pair in black. That pair made it three months and that same seam popped on both boots both sides where your foot flexes at the base of your toes as you walk. Zappos was great and sent me another pair. Four months later right boot, same thing. Barely wear them now. Loved everything about these boots, and I'm very sad that they failed. I loved the fit, warmth, look, just too much $ for a four-month lifespan. Welcome to Trailspace, Jerred. Thanks for sharing a review of your Conquests. That's too bad that they didn't last longer. Do you have some pictures of your pair you could show others in your review?